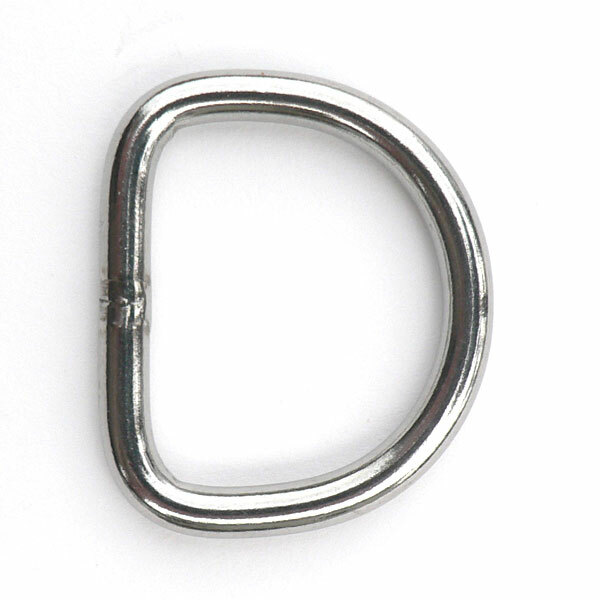 Stainless steel (316 Stainless Steel) "dee" ring. 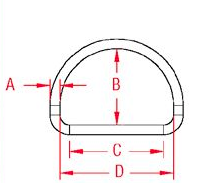 Ideal termination for various sizes of webbing. 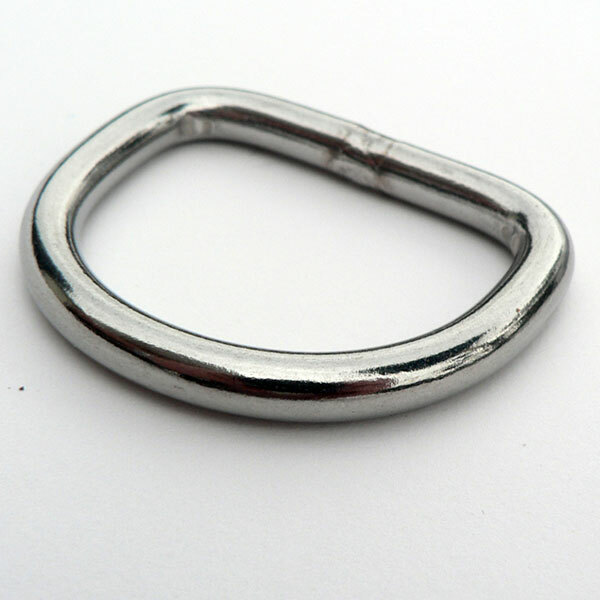 Can be used as an attachment point for clips on camping, hiking and dive gear. Rustproof and strong. 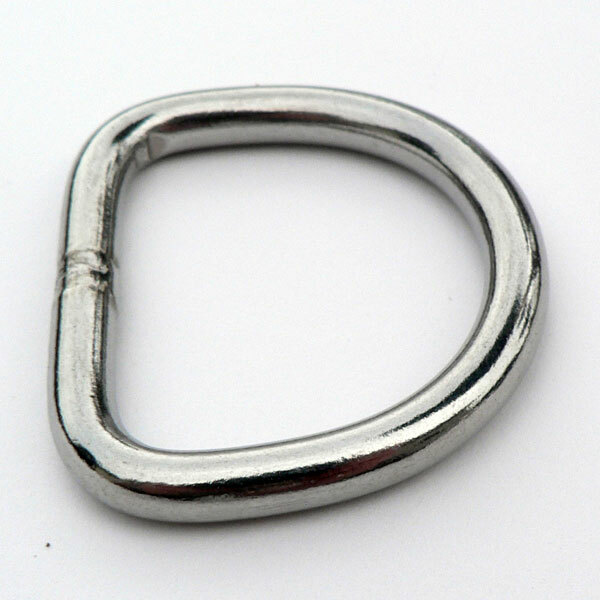 See also our Titanium Dee Ring. Note: working loads are based on "c" length being used in full by webbing, and not under point or shock load.